Smart watches, socks, diapers... we have written about them all on WikiTrend. Wearable computers have breathlessly been reported on these pages for some time now as one of the Next Big Things. However, with few exceptions (like the transmitters on sharks in Australia that alert bathers to their presence), almost all the wearables we've spoken about on these pages are meant to be worn by humans. No longer. A slew of products are now on the launching pad for pets. We have seen cameras and GPS devices that let owners track their wandering cats and plot their adventures on digital maps. 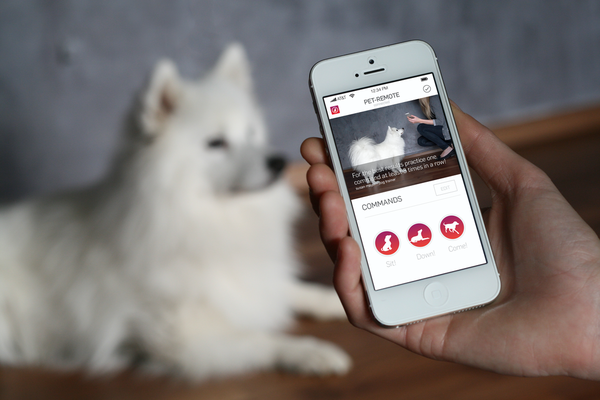 Now there is Pet Remote, a high-tech dog collar that lets owners control their canines through an iPhone or iPad. Using a proprietary app, the collar gently vibrates (no shocks!) to alert your dog to your commands. Anything you can teach your dog, you can associate with a particular vibration that he or she will learn the meaning of. While some owners may see this as too robot-like, others will like the fact that they don't have to yell across the park.